The transcript below has been extracted from the blog of H.E. Tsem Rinpoche. On July 25th, 2014. H.E. Tsem Rinpoche held an impromptu debate/quiz session in the blog-chat section of the blog. Many were fortunate enough to participate in session, but for those who missed out, I have posted the entire session below for you to slowly read and digest. Since wordpress can only handly 6500 words per post. I had to break down the entire session to 4 posts. I hope you enjoy learning from session. Tsem Rinpoche: Very good Pastors David, Seng Piow and Moh Mei. Pastor Moh Mei!!! You knew???!!! Tsem Rinpoche: interesting Pastor David. Are you sure? Tsem Rinpoche: Do you all think Tsongkapa started out so late at 16?? Are you sure? Tsem Rinpoche: Where is the rest of my USA team? How come so silent? Cliff: Namgyel Monastery in his 20s? Tsem Rinpoche: Cliff???? If it was too old to start at 16, why would you up his age to 20’s????????? Pastor Jean Ai: @Joy, which monastery? Tsem Rinpoche: He started at 7…..
Pastor David Lai: They both practiced Tantra – Guhyasamaja…. Tsem Rinpoche: Pastor Moh Mei and David, do put all ten similarities on one post….easier to read. I repeat: What are ten similarities between Nagarjuna and Tsongkapa? Tsem Rinpoche: Pastor David, what you wrote is VERY GOOD and correct. Actually there are much more than 10 similarities between Arya Nagarjuna and Lord Tsongkapa. But for blog chat purposes that would be good. Pastor Niral: Thank you Rinpoche sharing these 10 similarities with us and well done Pastor David. Pastor Niral: Became enlightened, showing other and guiding them on the spiritual journey to help others. His teachings, inspirations and blessings have guided many great masters and practitioners alike to aid sentient beings in all their forms up until now. Tsem Rinpoche: Pastor Seng Piow, why does it take so long. You went to the cave with me in Tibet!! Pastor Jean Ai: Rinpoche, he entered the cave with eight disciples for four years. They did 100,000 prostrations (35 sets, one for each of thirty-five confession Buddhas). They also did 100,000 mandala offerings (18 sets), and Yamantaka self-initiations. Pastor David Lai: @Pastor Seng Piow – Is that Olka ? Tsem Rinpoche: FASTER PLEASE JOY—-You’ve been in Kechara for over 12 years..you should know a lot more dharma dear———-Joy, Name 10 disciples of Tsongkapa that was very close and very learned? Pastor Seng Piow: any suggestions for the questions: ten qualities Lama Tsongakapa’s practice has different than other practices? Tsem Rinpoche: Pastor Seng Piow, better ask for help.. you have two sets of very good questions to finish. Tsem Rinpoche: Dear Pastor Niral, excellent answers. Tsem Rinpoche: C’mon?? Where is my US team? Why so sloooooooow? We have to go beyond asking simplistic questions after many years in the dharma? Which on of you can name five different texts composed by the great King of Dharma Tsongkapa? Pastor David Lai: 1. Based on combined wisdom and method lineage 2. emphasis on lamrim (complete steps to enlightenment 3. based on his attainments 4. many works were direct teachings from Manjushri 5. able to gain quicker attainments 6. praises were composed of yidams based on direct pure visions 7. combines the lineage of Sakya, Kaygyu and Nyingma lineages 8. Based on a lineage on Indian treatises 9. brought many great Gelug masters to achieve great attainments 10. Completely accurate. Tsem Rinpoche: Pastor Sp, point 3 is not applicable. Tsem Rinpoche: Very very very good Pastor Jean Ai. Tsem Rinpoche: Faster Clifford..you get the easiest questions…..
Pastor David Lai: Dalai Lama’s first recognized incarnation is Gyawa Gendun Drub and that is the disciple of Lama Tsongkhapa as well. Tsem Rinpoche: Pastor David, name me ten things that connect His Holiness the Dalai Lama to Tsongkapa? Choongs: Both the Dalai Lama and Panchen Rinpoche and from the lineage founded by Lama Tsongkhapa. Tsem Rinpoche: Joy, Number 6 is correct? Tsem Rinpoche: Very good Moh Mei. What about Kechara????????????????????? Tsem Rinpoche: Very good Pastor Seng Piow. 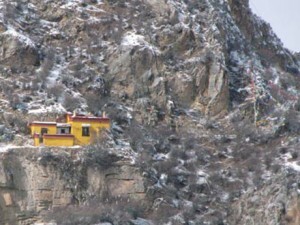 Pastor Niral: Rinpoche, here are 10 special functions of a monastery: 1. Provides shelter/housing for ordained practitioners, 2.provides food for ordained practitioners, 3. Monasteries allow the laity to create a lot of merit by supporting the sangha , 4. provides a place for the sangha to live, 5. is where the learned masters can teach the dharma. 6.is a conducive environment for prayers and retreats. 7. monasteries are places secluded from the distractions of ordinary life. 8. is a place of learning. 9. the monks/nuns can pray for and help the laity during their difficulties, 10. monasteries house the sacred images to the buddhas, that people can offerings to in order to create merit. Tsem Rinpoche: Samding is not Gelug. Choongs: The first Panchen Lama, Khedrub Je, is one of the heart disciples of Lama Tsongkhapa. Tsem Rinpoche: Clifford and Nicholas—-very good so far? Anything else? Tsem Rinpoche: Pastor Moh Mei, what happened? Tsem Rinpoche: Pastor Niral dear, I didn’t forget you my little holy paneer masala!! ahahhahaha….Very good answers..anything else? Pastor David Lai: Rinpoche, we worship Avalokiteshvara through Je Tsongkhapa because he embodies Manjushri and vajrapani as well. Therefore we get more benefits out of this practice as Manjushri gives us transcendent wisdom and Vajrapani blesses us with the power of all the Buddhas. Wei Theng: Good afternoon Rinpoche and all. Lama TKP is a three-in-one Buddha with Manjushri & Vajrapani besides Cherenzig. So, it is all in one. Choongs: The ten teachings of Lama Tsongkhapa which distinguishes it from others are: 1. Every moment of the continuity of an object over time is fresh. Tsem Rinpoche: David: Avalokitesvara does not embody Vajra Pani and Manjushri? Avalokitesvara has no power and no wisdom? Choongs: 2. Lama Tsongkhapa’s teachings do not assert subsequent cognition. Choongs: 3. Cognition may be either conceptual or nonconceptual. sweekeong: Lama Tsongkhapa embodies Manjushri and Chenrezig is meant for us to balance practicing wisdom and compassion together, we cannot just neglect one aspect only. sweekeong: Good afternoon Rinpoche and the US team. Choongs: 4. Valid sensory nonconceptual cognition cognizes not just sensibilia (sights, smells, tastes, and tactile sensations), but also commonsense objects (but without mentally labeling the commonsense objects with a name or as fitting into a meaning/object category, such as “chair”)..
Choongs: 5. Valid nonconceptual cognition is a determining cognition of its involved object – it decisively determines it as “this” and “not that,” such that we can validly recollect it. Tsem Rinpoche: Dear Choong very more? Is that all? Choongs: 6. Valid sensory nonconceptual cognition cognizes external objects. It does so through fully transparent mental aspects representing them (somewhat like mental holograms), which it produces in order to cognize them. Choongs: 7. Valid conceptual cognition cognizes semitransparent generally characterized phenomena (such as the category table) and, through them, another type of generally characterized phenomenon – fully transparent conceptual representations. Pastor Seng Piow: hi Leslie, r u back in Malaysia? Pastor David Lai: Yes – Rinpoche just came to debate with me earlier and the gist of it is that Lama Tsongkhapa is not superior to Avalokiteshvara but the practice is due to our affinity and karma. According to the migtsema mantra, Je Tsongkhapa bestows Manjushri’s wisdom, Avalokiteshvara’s compassion and Vajrapani’s power or skillful means. In that manner, Je Tsongkhapa is superior from our side. Pastor Jean Ai: (3) guru devotion: Lama Tsongkhapa composed the praise to Rendawa who offered it back to him. His belief in his lamas was unshakeable and you can see that whatever Lama Tsongkhapa was taught, he put it into practice and he gained the results, of which his whole lifetime is testatement to. No matter how ‘great’ he became, Lama Tsongkhapa always saw himself as below his gurus. (4) renunciation: Lama Tsongkhapa lived a very simple life with few possession. This inspires me because seeing someone gain such attainments and results, and not have so much ‘stuff’ makes me realise that everything I find ‘precious’ is really my projection of what is precious and not. This thinking helps me to let go of things, not just physical objects but also situations which disturb my mind. Pastor Jean Ai: (5) teaching the six paramitas by example: whenever someone requested a teaching from him, Lama Tsongkhapa would go above and beyond to pass on his knowledge. Out of his compassion, he was also always studying and practicing, and doing more retreats. He created Gaden out of compassion for sentient beings of his time and in the future. Teaching through actions and examples really inspires me, because it shows me that the person who is teaching is not hypocritical and not practicing double standards with themselves. Tsem Rinpoche: Excellent Jean Ai!!! Pastor Shin: Good evening Rinpoche and USA Pastors & team. Exciting blog quiz! Tsem Rinpoche: Very good Joy, when do you stop smoking exactly? Pastor Niral: Hello Pastor Shin! Choongs: 8. Valid cognition, both conceptual and nonconceptual, can explicitly apprehend its involved object by giving rise to a mental aspect representing it, and, simultaneously, implicitly apprehend another involved object, without producing a mental aspect representing it. Choongs: 9. Among negation phenomena (dgag-pa, negatingly known phenomena), individually characterized object exclusions of something else (don rang-mtshan-gyi gzhan-sel, object exclusions) are nonstatic phenomena. Leslie Leong: Hi pastor yes i am back in malaysia. Thank you for asking:-) have logged in to try to learn more. Choongs: 10. Cognition of an object may be either manifest or subliminal. With manifest cognition, the consciousness of the manifest cognition gives rise to a mental aspect representing an object and both the manifest consciousness and the person (gang-zag) cognizes it. With subliminal cognition, the consciousness of the subliminal cognition gives rise to a mental aspect representing an object, but only the subliminal consciousness cognizes it, not the person. sarahyap: Rinpochela, I’m very sure Lama Tsongkhapa blesses all, but affinity and connection is too very important. I think for example, the importance of affinity is like in Lama Tsongkhapa story as well, that Lama Tsongkhapa have affinity with Manjushri and thus Manjushri appear to Lama Tsongkhapa and not any other Buddha like Tara. So based on blessings, Lama Tsongkhapa gives to all, but on our side, as the receiver, it depends if we are able to receive it or not. Tsem Rinpoche: Choong , Great , great , great answers. I am very happy to see your answers and I accept. Now name me ten great Indian Masters that influenced Tsongkapa’s teachings, practice and writings? Joy: When I read more about Lama Tsongkhapa and how he has studied from all different schools of Buddhism and having so many different Gurus from different schools… it seems like the Gelug tradition is synthesis of all traditions/sects/schools of Vajrayana Buddhism 🙂 Makes me feel even more blessed to be in the Gelug tradition. Instead of people always talking and saying that Gelugs are sectarian, in reality, it is actually like a United Colours of Vajrayana Buddhism lol. Just some thoughts. Pastor David Lai: Wow Choong – You sound like scholar monk about to sit of a Geshe exam. Tsem Rinpoche: hahahahahahah….Sarah, Tara did appear to Tsongkapa and regularly. Tara, Atisha, 84 Mahasiddhas, the Indian masters called the “6 Oranaments and 4 Supremes’, Vajra Yogini, Kalacakra, Maitreya, Yamantaka, 35 Confessional Buddhas all appeared to Tsongkapa regularly..now how? affinity what? Su Ming: Nice Choong. I am getting more people to come into the blog chat now as there are so much information to absorb. Tsem Rinpoche: Pastor David, copy and paste what Choong copied and paste and start memorizing daily. You have a great memory. Choong is a great researcher. sweekeong: Why we need all the three aspects of Lama Tsongkhapa? We may wish to help others, the compassion in action aspect, but we are unable to help them ineffectively because of our lack of understanding of Dharma and wisdom from our side. We may study wishing to gain wisdom but without practicing, the compassion aspect, our study would not progress because we don’t practice what we study. If we always have a lot of fear, and using of learning wrong teachings as excuse not to learn, and using of helping others making the situation becoming worst as stopping to help others, we need the aspect of courage, otherwise we would never begin to gain compassion and wisdom. Tsem Rinpoche: Dear Pastor Niral aka Panner Masala, VERY VERY VERY VERY GOOD. Out of all the Indian masters, name 5 that definitively affected Tsongakpa and his practice/writings very much? Tsem Rinpoche: Gopinath, very good. Name me five and quote source.. we need accuracy…thank you. Tsem Rinpoche: Dear dear dear Casteven, so nice to see you and so glad you are here. You are a very good and sincere student and very steady. Those of you who are serious of Tsongkapa’s practice should go to the beginning of our quiz and copy and save everything to learn and understand. There is so much information. I made blog quiz here to benefit ppl and so we can discuss dharma. I have the USA team here tonight to discuss and they are knowledgeable, hardworking and sincere.